CIA Exam Changes: NEW 2019 CIA Exam - Read This Before You Sit! In the ever-changing environment of the business and accounting industries, professional accounting exams must be adjusted every 5-6 years to keep up. Therefore, IIA CIA exam changes arrived on January 1, 2019. So, if you’re starting your exam journey now, let me tell you all about the 2019 CIA exam changes so you can prepare to pass successfully. 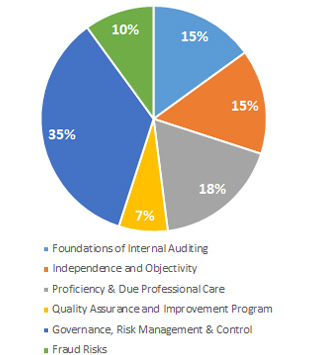 In early 2017, the Institute of Internal Auditors (IIA) conducted an extensive analysis of the modern internal audit profession. With their research, they uncovered the knowledge, skills, and abilities current internal audit professionals need in their positions. The IIA then decided to modify the CIA exam syllabus so that the new version assess CIA candidates for such information and capabilities. According to the IIA, an exam syllabus is an outline summarizing the topic areas the exam addresses. Therefore, each part of the CIA exam has its own separate syllabus. For this reason, CIA exam review providers and candidates can use the 3 CIA exam syllabi to identify and learn the content on which the exam will cover. The exam focuses on this content in order to prove candidate proficiency in internal audit during the process of earning the CIA designation. As I mentioned, a new iteration of the CIA exam launched January 1, 2019. The IIA released the updated English version of the exam first. Other language versions of the exam will become available gradually throughout 2019. The CIA exam requirements will also stay the same. The IIA has adjusted the syllabus of all 3 parts to reflect the latest global practice of internal audit. In particular, the IIA has revised Part 1 and Part 2 to better align with The IIA’s International Standards for the Professional Practice of Internal Auditing. The IIA has also switched a few sections between Part 1 and Part 2 to create a more focused and coherent syllabus. Therefore, candidates who have already taken Part 1 or 2 may see some subject areas repeats if they take the other part in 2019. Each new CIA syllabus for 2019 differs significantly from each old CIA syllabus 2018. As you can see in this comparison of the IIA syllabus for each part, the CIA Part 1 syllabus and the CIA Part 2 syllabus have gained content areas, while the CIA Part 3 syllabus has lost content areas. The new syllabi also provide more information about how deeply the exam expects candidates to understand each topic. For example, the old syllabus told candidates to know all topics at the Proficient level as opposed to the Awareness level. Consequently, each new syllabus specifies whether an individual subtopic requires a Basic or Proficient level of knowledge. This detail helps candidates get a better impression of the relative importance of every topic. The new CIA exam Part 1 syllabus reorganizes this part to cover a macro view of internal audit. Furthermore, the syllabus goes deeper into the foundations of internal auditing as defined by the IIA mission statements and standards. Part 1 also tests the overall concept of governance, risk management and control, and fraud risk in more detail. The syllabus has moved the application portion of internal audit (e.g. audit tools and techniques) to Part 2. They are essentially the same as Section I in the old syllabus. The combined weighting (15%+15%+18%+7% = 55%) is higher than the old one (35-45%). Under section IC, one new topic has been added about interpreting the difference between assurance and consulting services provided by the internal audit activity. The questions involving definition now align with specific IIA standards instead of general rules in auditing. Governance, Risk Management, and Control now appear in this section. Originally, these topics were located under Section II in the old syllabus. Additionally, the subtopics in this section are almost evenly split between a Basic knowledge level requirement and a Proficient knowledge level requirement. Finally, the weighting has increased from 25-35% to 35%. Fraud Risks was part of the old Section II. But now, this topic has merged with Section III in Part 2 to form a new separate section. At 10%, the weighting is about the same. Furthermore, in the old exam, these topics were tested at the Awareness level in Part 1 and progressed to the Proficient level in Part 2. However, in the new exam, candidates must know almost all of these topics at the Proficient level. 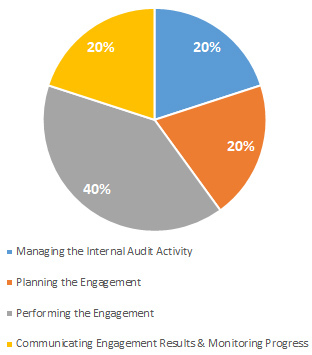 The old Section III, Conducting Internal Audit Engagement (25-35%), has moved to Part 2. The new CIA Part 2 syllabus now clarifies that this part tests the application of internal audit. Specifically, Part 2 assesses candidates’ knowledge, skills, and abilities related to the IIA’s Performance Standards (Series 2000, 2200, 2300, 2400, 2500, and 2600) and current internal audit practices. This section, called Managing the Internal Audit Activity, is the same as Section I in the old syllabus. Nevertheless, Section I places less emphasis on the strategic role of internal auditors (previously addresses in Section 1A) and now only tests on this topic at the Basic level. Accordingly, this section has experienced a great reduction in overall weighting, going from 40-50% to 20%. Previously, Section II on Planning the Engagement was the first part of the old Section II. Additionally, Section IV on Communicating Engagement Results was the second part of the old Section II. Not surprisingly, the newly combined weighting of this (20% + 20% = 40%) falls within the same range as the old version (40-50%). The Performing the Engagement section used to be in Section III in Part 1. But now, the weighting has increased from 25-35% in old Part 1 to 40% in the new Part 2. The old Section III on Fraud Risk now resides in Section VI. Fraud Risk in Part 1. The new CIA Part 3 syllabus considerably streamlines this content to feature only the areas most relevant to internal auditors. For example, the IIA removed business competition, conflict management, cultural and political environment, and communications from the new CIA Part 3 syllabus. Interestingly, the once heavily tested topic about COSO and ISO 31000 seems to have disappeared as well. As a result, the new syllabus places much greater weight on Information Security and Information Technology. This Business Acumen section is a combination of the old Sections III and V. For this reason, most of the topics continue to test at the Basic level. However, performance measures and the risk/control implications of common business processes now require a Proficient level of knowledge. Moreover, with 35%, the weighting of this section stays within the old 25-40% range. These 2 sections on Information Security and Information Technology pull from the old Section VI on the same subject. But, the weighting has increased significantly, going from a range of 15-25% to 45%. Although, the cognitive level continues to be Basic. So, this section just tests candidates at an introductory level of the topics. This section on Financial Management is a duplicate of the old Section VII on the same subject. Hence, the testing level is still Basic for all topics except financial analysis (the ratios). Once again, the weighting (20%) remains in the same range (15-20%) found in the old syllabus. Whether the new syllabus makes the exam harder or easier is hard to say. But new exam candidates can rest assured thatCIA exam review course providers have updated their content according to the new syllabus and will continue to adjust their practice questions and exams to better reflect the altered exam content as they receive more feedback from candidates. 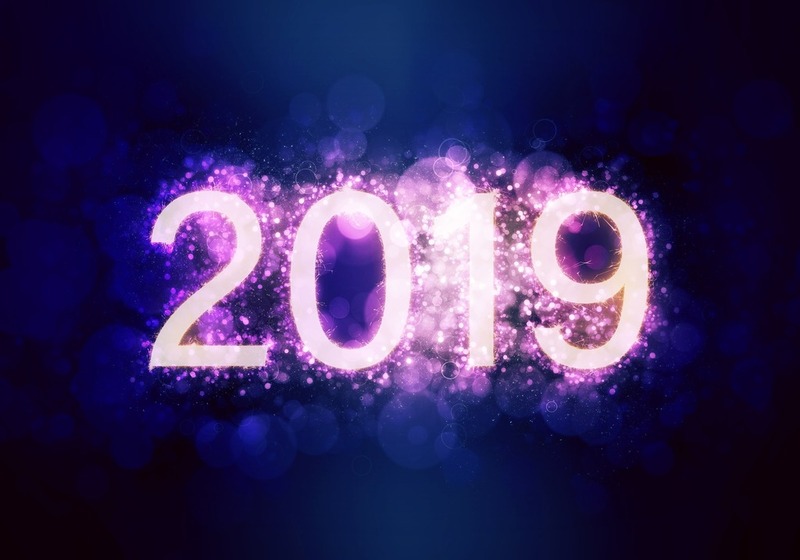 As I mentioned, the topic switches that took place between the 2018 CIA syllabi and the 2019 CIA syllabi mean that candidates who took Part 1 or Part 2 in 2018 may see some of the same topics when they sit for the other part in 2019. On the other hand, if you have to retake Part 1 or Part 2 in 2019, you’ll have to study some new topics in order to pass the new version. Part 3 is now less of a mixed bag, which could be good news for many candidates. For instance, Governance and ISO 31000 may no longer be tested (at least, the new syllabus does not explicitly mention them as the old syllabus did). Also, the exam still tests financial management at the Basic level. In that case, those who use Gleim can still to stay away from the complex computational practice questions. The ratios remain important though. For this reason, you should memorize the formulas and know how to apply them. No, you do not need to retake any passed parts in 2019. Because yes, credit for passed exam parts will carry over. As a result, you can combine credit for a part passed in 2018 with a part passed in 2019. Just remember: you have 4 years to pass all 3 CIA exam parts. To ensure that you’re prepared for the most recent exam version, you need to study with the most up-to-date review materials. If you purchased an online course that comes with free updates, make sure you accept those changes and get the latest edition of the printed book as well. If your CIA materials are out of date and you can’t renew them for free, you must invest in new materials so you have the information you need to pass. Thankfully, you can save money on these materials when you use my CIA review discounts to make your purchase. “Great news! I passed the last part, and I’m now a full-fledged CIA! I’d like to thank you and the rest of the IPasstheCIAExam.com blogging community for helping me get through the last hurdle. Truth be told, your recurring emails about practical advice and review tips as well as your readers’ experiences did help in making sure I stayed focused down to the last stretch. 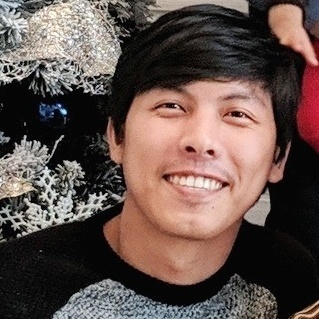 As a way of giving back to the community, I’d like to share my exam experience with your readers and hope that they, too, could learn from my experience. I think this is also insightful since I probably am one of the few ‘guinea pigs’ writing the new 2019 CIA syllabus exam. Since it was such a frenzy, and everything happened in a daze (not-so-fun fact: I almost didn’t make it to the exam because I didn’t realize I had an expired driver’s license), I will try to recall as much as I can about the exam content and present that information here in bullet points. Just a caveat: everything I’m saying here is based solely on my exam. It is very possible that other people who sit for the exam will see very different sets of study unit questions than I did. So without further ado, here are some tips and practical advice you might find useful. Don’t spend too much time on your review course’s study/test questions; focus on the content of the study units instead. When you read the book, you take the concepts of what is covered in the exam to heart, which allows you to readily apply those concepts to the actual exam questions. Conversely, if you just memorize the sample questions from the test bank, you’re conditioning yourself to expect the same type of questions in the actual exam, which increases the risk of failure. In my actual exam, the type of questions I had was way, way different from the practice questions of my review course. Choose a review course and stick to it. I noticed that a lot of your blog readers asked a lot of questions about what type of review course is best and which ones they need to use. For me, I found Gleim CIA to be the best material out there, content-wise and price-wise. Their 2019 course has this Personal Classroom review style that sets your knowledge baseline at the beginning of each study unit and adjusts that based on post-study unit questions. In doing so, the system is able to identify your weak points and reinforces those types of questions in succeeding study units. Finally, after finishing all 14 study units, it gives you this huge 100-question exam rehearsal and, based on your results, pinpoints which areas you need to focus on further. This worked great for me! (Heads up from Stephanie: these features are only available in the Premium and Traditional courses). Make sure to learn all the IT-related study units by heart. I cannot emphasize enough how extremely important this advice is. Just to ballpark, half of the 100 questions in my exam were related to IT. So, be sure you know the difference between application and ITGCs and commit to memory the different types of these IT controls, especially the different types of application controls. 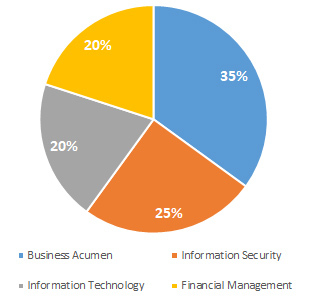 Know the different IT stakeholders and the job functions and responsibilities they hold (senior management, management, system administrator, DBA, helpdesk, computer operator, network administrator, infrastructure support, etc.). There were also a lot of questions about cybersecurity and disaster recovery as well as some questions relevant to data analytics. What makes a database? What are its components? How does Internet work? TCP/IP, Firewall, IPS/IDS, anti-virus, malware: the whole nine yards. Just throwing some keywords in here. About 30-50% of my exam questions had to do with financial and managerial accounting. Hence, it is prudent for exam takers to have a solid understanding of basic and advanced financial and management accounting (In Gleim, these are Study Units 9, 10, 13, and 14). Not so much the calculation aspect (I only had 1-2 questions involving computation), but the concepts behind them. More often than not, the exam would give you a scenario, and you’d have to determine what effect would it have (or vice versa). For example, what would be the net effect of paying accounts payable in company X’s quick ratio? (Answer: zero net effect since both current asset and liability are reduced). On the financial side, be sure you have a good understanding of basic and advanced financial accounting and managerial accounting (Study Units 9, 10, 13, 14). Also, don’t forget the basics of CVP analysis. Make sure you know the difference between variable costing, full costing, process costing, and JIT. And, be familiar with the concepts of BEP, CM, manufacturing COS, residual income, etc. Of course, the best plan is to have adequate review time for ALL the covered topics. But if push comes to shove and the exam taker has no other option but to procrastinate in their final review hours, their best bet for passing would be to focus on IT/Business Continuity and Financial Management. These 2 massive sections alone comprised 75-85% of the content of my exam. The rest of the questions were sporadically sourced from the remaining syllabus topics. I just had 2 questions that involved calculations, so the focus should be on learning the concept more than on the process of how to compute. I didn’t encounter too many formulas either (maybe just a sprinkle). For me, the least tested topics were project management and contracts (thank goodness, as this was my weakest point), taxation, and IT standards and frameworks (i.e. COBIT, COSO, NIST, ISO 9000, 14000, 27001, GTAGs), which was odd because these were the ones mostly tested back in 2018. Finally, there were 1 or 2 questions related to strategic management, org structure and behavior, leadership, capital structure, and transfer pricing. Side-note: As in the case of multiple choice questions, the choices can be extra tricky, so you really have to read between the lines. Several times I felt like I was stuck with 2 possible answers (by process of elimination), but there can only be 1 BEST answer. So, being able to fully grasp the context of the question and relating that to your strong understanding of the topic concepts really helps a lot. If you look at Lynette’s tips on passing CIA Part 3 last year and compare that with the type of questions I had this year, you can see how what seems to be the new norm is a stark departure from what has been frequently tested in the past. Then again, as I said, what holds true for my exam might not hold true for the exams of others. If you would like to contribute your own experience regarding the CIA Exam 2019 to this article, please send me a message. Gleim CIA Review is the most widely used CIA review course, and many of my readers use it. Therefore, I’d like to demonstrate just how much the CIA exam changed on January 1, 2019, by revealing how much the content of the 2019 edition of Gleim CIA Review differs from the 2018 edition. You can compare the detailed table of contents from each part of the 2019 Gleim course to your 2018 Gleim course to get a better sense of the new CIA exam syllabi’s effects. Also, if you’re interested in purchasing Gleim for your CIA 2019 study materials, make sure to check out my Gleim CIA discount page. Hi Stephaine, I have noticed that virtually all Pearson centers do not have June 2017 available for CIA exams. Could you explain why this is so because if New standards are expected to be tested from July 1, 2017. there should still be exam dates available for CIA candidates till at least end of June on current syllabus. Really? I haven’t heard of this arrangement. If you are picking Fridays and Saturdays, the centers could be full by now. Can you call Pearson to find out? (sorry I can’t check it for you given I am not actively taking the exam). Will there be any changes relevant to the Part 3 Exam I should be aware of? Hmm, not that I know of besides the above. Hello Stephanie, has IIA announced the date of implementation of these new standards in exam. I am unable to find the announcement of the date. Thanks in advance. please advise me should i follow New IPPF 2017 while preparing for exams when my target is to appear in the exam on sep;17 or should i go for old IPPF 2013. Please advice on the urgent basis. Hi Amit, I am not 100% sure but it looks like the original plan was to implement the changes in second half of this year, but since we haven’t heard from them (haven’t made a formal announcement), the Jan 18 implementation is quite likely. I have Gleim 17th edition books ,I hope that will suffice for exams to be taken in Dec’17 or I should purchase a 18th edition books. I am going to take the CIA part1 on next Oct 9. I am reviewing base on the old version of IPPF. I would like to confirm whether there is an official announcement from IIA about update version applied for the exam on Oct 9. Can u find it out? I obtained Wiley CIA Excel Review 2014 textbook from my friend and I am wondering how much syllabus have changed over 4 years? Shall I book 2018 edition or it will be enough? I am planning to give CIA Part -1 in June 2018 Part 2 and 3 in 2019. Now Syllabus is going to change in 2019, Do i need to reappear for Part – 1 again if I pass in Part 1 this year? I failed in part 1 exam today . That means I have to wait minimum 90 days to retake this part which will fall in 2019. What should I do? Would you like to sit for another Part while you wait out the 90 day period? Or you can begin restudying for the Part you already attempted. Which sounds more appealing to you at this point? I would suggest picking the option that seems less daunting at this point. These exams can burn you out if you’re not careful. Hi I plan on starting to write the exams in 2019 previously I was advised to start with part 3 as it is the most difficult do you have any idea as to whether this is still true in the 2019 revised version ? Also are the gleim books sufficient as I see the Wiley 2019 books are not available yet? Part 3 does tend to be the most difficult for candidates who do not have a strong accounting background. If you do have a good background with financial accounting concepts, this exam may not present a problem for you. Also, we do not recommend using books only. Do you have the test bank also? There lot of overlap syllabus from CMA, earlier it was not part of CIA.Most of part 3 contains are from CMA part 2, which will make part 3 bit difficult for most of the students. Hi, I just wanted to take CIA certification but I don’t have experience in internal audit instead have 4 yrs of experience in banking compliance.Will that count as my work experience? The only definitive way to know is to contact the IIA directly. If you need help finding the IIA’s contact info, please Contact Stephanie. I paid for Part 3 exam in Dec 2018 and planned to sit for the exam in Jan/Feb 2019. Today I was going to schedule the actual exam with Vue, however I noticed that on both IIA website (CCMS) and Vue, they still refer to this part as the “old name” – Internal Audit Knowledge Element, instead of the new name under the new syllabus – Business Knowledge for Internal Auditing. Now as I need to schedule the exam, I’m a bit concerned if I would be able to schedule for the new exam. I’ve been studying under the new syllabus, and of course want to schedule for the new exam. But now since both systems still refer to the exam in old names, I’m wondering it is because I paid for the exam in 2018 so I’m now stucked with the old exam? Has anyone had the similar situation? Or has anyone took the new exam already? I believe we resolved this over email, but if you still have any issues, please let us know! My name is Midodji and I actually prepare for the CIA part 3. I Tried it twice but I do not succed it. I plan to take my exam on march of this year. So I will be pleased to know if there are some persons who have already take the news part 3 exam. If So, I want they share there exam experiences with us. how is the exam and what topics are test on the exam. Hi Midodji! I’ve recently taken the new Part 3 exam and have shared my experience with Stephanie. You can check out her updated list above. where is your response, did you pass or fail? I passed and am now a full-fledged CIA! If you have any questions, let me know. thank you very much Lio. I appreciate your kindness. Your experience is very helpfull. No worries. If you have any other questions, please do let me know. A reader who commented above also has some lengthy discussion on how it was to sit on the exam using the new syllabus. Some additional insight for you before you sat on your exam. Good luck! Hello! May I know what materials are you using for exam preparation? I will be taking up the Part 3 exam this year also. Thanks! Hey Peng! I used the Gleim Premium Classroom course. I suggest going through what I shared with Stephanie regarding the content of my exam questions and the general prep I did. You can find reader experience with the new Part 3 here. Hello! We have the same experience. I took the exam twice for part 3 and I didn’t make it. I am also planning to take the exam this May 2019 but Im quite afraid due to changes in the exam content. Maybe I need to get some helpful tips also to proceed with my plan on taking the exam again. I will be taking up the part 3 examination this May 2018. Can you share your experience with the new curiculum? Also. I do not have updated gleim reviewer so I am quite afraid to take the exam. Hope you can give advices. Thank you in advance. Please don’t sit for Part 3 having studied using the 2018 materials. You’ll need the 2019 version. Email us to see how we can help. Hi, I just wanted to pass some feedback along to readers considering and/or taking the new CIA exam part 3. The 2019 updates have been extremely different from the previous exam. I would urge everybody who is considering taking the exam to reconsider. I would say approximately 60% of the exam is regarding IT and a heavy 40% is regarding financials. As an internal auditor with 10 years experience, I genuinely find that the financial portion is extremely irrelevant to the internal audit field, but more of a focus on external auditing and another way to stop exam candidates from passing. Based on my research, the previous exam pass rate for part 3 was around 40% due to the changes and content that has been altered, I would honestly say that the new exam rate will be more along the lines of 20%. The exam wording itself was so vague that you read the question three times and are still unaware of what it is asking you. It is not enough to simply do practice problems and understand concepts, but know every page of the financial portion as outlined. For example, in my exam there was a simple question regarding the COGS, which the formula is very straight forward; however, the question does not provide you with a beginning or ending inventory and details additional purchases to other items regarding inventory. After reading this, I have come to the conclusuion that even if you know the formula, that won’t help because there was so many different ways to ask a question. I am highly disappointed in the new updates that have been enforced and pushed upon exam candidates that have already started on the pre-updated testing. If I had known that exam material would be changing to such difficult areas, I would have potentially considered sitting for another exam. Hopefully that was somewhat helpful, but I think it’s good to know what the exam is actually like instead of expecting 20% financials on the test and being presented with 40%. For anyone who’s planning to sit on the CIA Exam part 3 this year, here’s my experience as shared with Stephanie. Good luck and I sincerely hope you also pass just like I did! I’m confused, if the syllabus says that the financial/accounting portion is 20%, shouldn’t that mean 20 questions max? How could there be 40% related to this section? If you are referring to Lio’s synopsis, you cannot rely on this as the actual weight. Lio commented based on what he felt he saw on the exam (note that this is based on feelings and not necessarily on fact). When you’re studying and preparing, only rely on the weights provided by the IIA. I am preparing to sit for Part 3 of the CIA exam for the third time. I took the test twice last year and the first time I got a 588 and the second time I got 576. The results from my first attempt said that I performed proficient on parts of the exam and after sitting for the exam the second time I needed improvement on the same parts. I am an internal auditor and feel the same as Anna about Part 3 after taking the test twice. It is very frustrating because the practice questions do not mirror the exam, which is very application based, so candidates are not even prepared to answer the type of questions asked on the CIA exam. It feels that no matter how hard you study, you need to be an external auditor with experience doing IT and finance to pass. This time around I am currently using the CIA book and Gleim questions only to study. In the past I used the Gleim book and questions. I studied harder the second time I took the exam last year and did worse. The questions on my second exam were completely different from the first time I sat for the exam. My exam included questions on IT topics such as mainframe that were not covered in the Gleim book at all. As I currently study, I compare the information in the CIA book to the Gleim book and noticed that there is a big difference in the information between the books. I am not going to use the Gleim book to study since it includes information that is not in the CIA book. My approach this time is to focus on the topics in the CIA learning book and complete the Gleim questions on those topics. The CIA book provides a better understanding of the exam information and organizes the subjects well. However, the CIA learning system does not provide a proficient amount of practice questions. I am also reviewing Youtube videos from Rutgers University on managerial and financial accounting, which have been tremendously helpful. I plan to sit for the exam at then end of April or early March. So here is my question, has anyone taken the new Part 3 exam using the CIA learning system? If so, please provide feedback on whether the exam mirrors the CIA learning book. Any additional insight is greatly appreciated, as well. Also, if anyone else has tested for Part 3 between 2018 and 2019, any insights are helpful.